The Tour de Farm Sussex County, on Sunday, September 2, 2018, is one of two 2018 bicycling tours which will help promote our NJ Farmers and their Farms. We are offering 3 different rides on this date. Ride distances are mainly determined by which farms are participating. Click on Bicycle Routes below to see tentative distances and routes. A cycling ticket includes: A locally-sourced breakfast, a TDF t-shirt (for the first 400 registrants), participant wristband, small tastings along the cycling route, energy bars/snacks and water along the cycling route, bathrooms at each farm, free day-of parking at the start/finish, route signage marking every turn, cue sheets, and SAG wagon support. Please email us about large group discounts (10+ persons). Routes and farms may change due to unforeseen circumstances. Family owned and operated, Willow Brook Farm has been growing and harvesting Christmas Trees for more than 50 years. We have always planted a large family garden, often literally preparing meals directly from the garden to the table. Like many of our friends and neighbors, we enjoy the healthy benefits of fresh produce – and the fresher, the better! With that in mind, we are now expanding farm production to include fruits and garden vegetables. We will also offer customers the opportunity to purchase shares of the farm harvest throughout the growing season. So, why not come and join our new CSA family? Churutabis Farm is located in the North Western part of New Jersey; about 30 minutes drive from both the Pennsylvania and New York State borders. Here we raise chickens, broilers, ducks, rabbits, guinea fowl and turkeys. We follow a philosophy whereby we do not feed our animals any antibiotics or growth hormones. We use natural "ingredients" on the farm and use local feed, food and products when possible. We believe in humane treatment of animals and that our animals should live as close to the way nature intended as possible. We do not apply pesticides, herbicides or insecticides on the fields where our animals live. Cerbo's Nursery is a family owned and operated business with a nursery & tree farm in Hampton and greenhouses in Parsippany. Established in 1913, it has been the Cerbo's pleasure to serve the horticultural needs of their community for over 100 years. Their family business is now operated by the third and fourth generation. With locations in Morris & Sussex Counties, they serve many homes, schools, churches, and various other nonprofit organizations in northern New Jersey and beyond. From blossoming greenhouses & tree yards in the spring, to self-serve produce stands & CSA memberships in the summer & fall, to choose-and-cut Christmas trees & homemade wreaths in the winter... Cerbo's is happily serving the community all year round. We are a third and fourth generation family farm located in beautiful Northern New Jersey! Together with our four children, we are carrying on the farming tradition in the Skylands region of Sussex County. 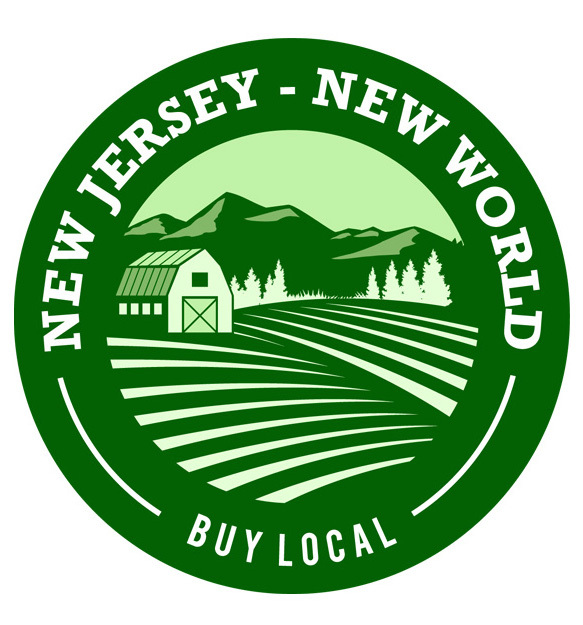 We are proud to offer what we believe to be some of the highest quality beef and dairy produced on our small family farm where we call rural New Jersey home. Vernon Valley Farm raises grass-fed beef, pastured pork, and naturally grown vegetables. We strive to produce fresh, healthy, and flavorful food for our community. Our operation is strictly chemical and drug free. From the health and well-being of our animals, all the way down to the worms in the soil, we seek to use nature’s synergies to farm rather than industrial methods. All of our cows are born on the farm and raised on our pastures. We have spent years fine-tuning the mix of grass species so that there is a diversity of forage available, irrespective of the weather. From spring through early winter, we move the herd daily to a fresh area. This system is known as intensive rotational grazing and is designed to mimic the natural grazing patterns of herd animals in the wild. This allows the grass enough time to rest and regrow and helps build healthy soil. This also helps to break insect and parasite cycles. In the winter, we feed grass hay to our cows and all year long we offer free access to OMRI approved sea salt, vitamins, and minerals, which in turn re-mineralize the soil. We are a small family farm in Branchville NJ, run by a husband and wife team valuing locally produced quality food. Visit us for eggs and seasonal vegetables, fruit, garlic, and flowers. We love meeting our customers and introducing our farm and animals to your family. We look forward to becoming a valuable source for your local eggs and produce. You can help us grow by stopping by to see what we have that you might enjoy! Our family, and our chickens, thank you! Hidden Pastures is a family owned and managed Luxury Fiber Farm located in beautiful, scenic Sussex County, New Jersey. We were fortunate to discover the alpaca soon after buying our farm in 2004. Over the years we added other fiber animals including Angora Rabbits, Angora Goats, Cashmere Goats and Tibetan Yak. We have an on farm fiber shop and studio where we celebrate all things natural fiber. The fiber shop features a wonderful array of finished products from a variety of fiber artists as well as fleece and fiber tools for those that are fiber artists themselves. This family farm is located on 170 acres in the mountains of northern NJ. They raise 100% grass-fed beef, pasture- and woodland-raised port, free-range chickens, and pastured turkeys. Coming in Spring 2017, they will offer organically grown fruit and vegetables. This breakfast is included as part of the Tour de Farm Sussex County registration price. 8am-10am: Check-in and enjoy your included delicious, locally-sourced breakfast!!! Please print out and bring your signed waiver, ticket, and photo ID with you for check-in. This is a Rain or Shine event - no refunds.We ask that you bring cash to purchase farm products which will be brought back to the tour start by 1pm. 8am: Longest Tour Begins - The Longest Tour length is 47.7 miles. The Tour de Farm NJ Longest Tours are recommended for very avid, very fit bicyclists. If you have any doubts at all about riding and finishing, we recommend taking the shorter, less challenging tours. 8:30am: Medium Tour Begins. The Medium is 24.3 miles. 9am: Shortest Tour Begins. The Shortest is 15.3 miles. 11 am - 2pm: A Farm to Fork Lunch. Details available here. Routes subject to change. Routes will be finalized 60 days before the event date. We will hand out turn-by-turn directions on the day of.